Number three is a recurring theme in the philosophy and stories associated with Shiva. The most famous among them is the three eyes. Three horizontal ash lines on the forehead of the Shiva devotees. Bilva, the favorite plant, of Shiva is noted for its joined three leaves. The trident of Shiva has three blades. Apart from this Shiva is believed to have destroyed Tripuri – the three impregnable forts of Demons. Three represents the beyond – the world which we should aim for and reach – Sat Chit Ananda. 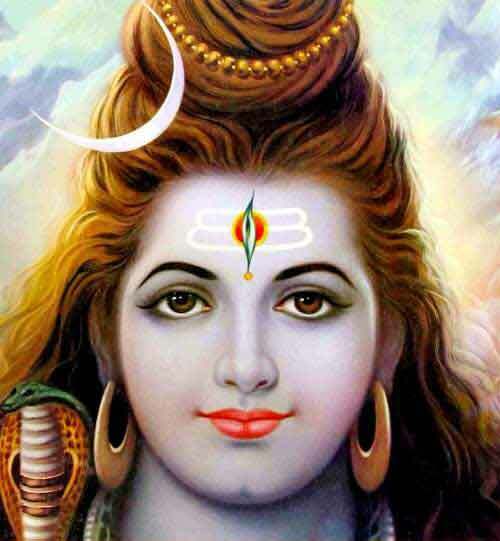 Shiva opens the third eye to destroy ignorance which is stopping us from attaining Moksha.